"The primary merit of a painting is to be a feast for the eye." 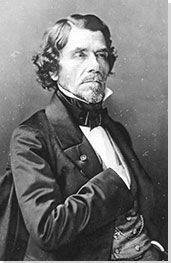 Delacroix is widely regarded as the leader of the Romantic movement in 19th-century French art. His life and work embodied the movement's concern for emotion, exoticism, and the sublime, and his painting style - full of lush, agitated brushwork and pulsating with vivid color - was in direct contrast to the cool and controlled delineations of his peer and rival, Ingres. Delacroix eschewed academic conventions in his choice of subjects, favoring scenes from contemporary history rendered on a large scale in the most dramatic of fashions, with visibly energized brushwork and dynamic figural compositions. Delacroix's work also embodies Romanticism's obsession with the exotic Other, seen in his paintings inspired by a transformational trip to North Africa, but his animal pictures can also be viewed in this vein. Interestingly, many of his works were based on direct observation of nature (he was a prodigious draftsman and took an interest in early photography), which he then combined with a narrative imagination, not surprising given his intimacy with many of the most famous writers of his day. Many of Delacroix's Salon paintings depicted dramatic scenes drawn from contemporary history as well as literature. Some of the subjects were shocking for their violence and unabashed portrayal of human suffering, such as Death of Sardanapalus and Massacre at Chios. These works signaled a new direction in modern art, one that emphasized emotional content above order and rationality. Delacroix's animal paintings embody Romanticism's love of all things wild and untamed. He based these works on studies he made in Paris's Jardin des Plantes, where he sketched lions in the zoo, as well as drawings he made of domestic house cats. Delacroix's modest still lifes are nonetheless masterful in their use of color harmonies and composition, and demonstrate the artist's desire to master all artistic genres, as a true virtuoso. These works would later influence Impressionist artists who rendered the traditional genre of still life in fresh and modern ways. Delacroix gained many significant commissions to paint public buildings and churches in France. These decorative projects, such as ceiling paintings and wall murals, allowed the artist to work on a larger scale than ever before, and would later influence the Nabis and other Symbolists who sought to free painting from the confines of the easel. The visual impact of Delacroix's art owes a great deal to his study of color; he understood (and employed) such principles as the division of tones and the harmony of contrasts, both of which would be enormously important for later modernists such as Van Gogh and Seurat. 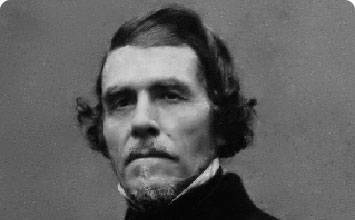 Some controversy surrounds the birth of Eugène Delacroix because of the timing of his father's operation to remove a testicular tumor just seven months before his birth. Most believe, however, that he was the youngest of four children born to parents Victorie Oeben and Charles Delacroix, a foreign minister under Napoleon's regime. Delacroix's early life was filled with much loss including the death of his father when he was seven; his brother was killed in battle when he was nine; and his mother passed away in 1814 when he was just sixteen. In the foreground of Delacroix's canvas, we see a group of distraught Greek men, women, and children laying huddled (some dead, some barely alive) on the ground. On the left, a man expires from a stomach wound while his wife leans on his shoulder; on the right, a dead mother leans against an elderly woman as her child tries without success to suckle at her exposed breasts. Behind them on the right an Ottoman Turk charges towards the group dragging a naked prisoner as a figure tries in vain to stop him with upraised hands. In the background, less defined figures are engaged in battle in the devastated landscape as the ocean meets the horizon line of a golden sky. The large scale of the canvas (it is over 16 feet wide) monumentalizes the suffering of the Greek figures, and adds to the overall drama and visual impact of the picture. The painting was inspired by events from the 1822 Greek War of Independence, during which Turkish Ottoman troops invaded the island of Chios and slaughtered thousands of rebelling Greeks. Delacroix diverged from the conventions of classical narrative painting in which order, regularity, and a sense of control prevailed. Rather, this work establishes a new approach to historical drama. For one, it is based on real and recent events, rather than remote episodes from ancient history or mythology. Delacroix brings the viewer up close to the action, and more specifically to the suffering of the victims - we exist on the same plane as they do, thus inspiring our empathy and emotional communion. Finally, rather than showing the most climactic moments from the battle, he shows us the aftermath, using rich colors and a complex compositional structure with the various groupings of figures in fore- and background. This work was not well received when exhibited at the 1834 Paris Salon, as many critics felt it depicted the Greeks as victims, rather than brave fighters, leading one to quip: "it's the Massacre of Painting." Others saw fault with its loose brushwork and declared the canvas "le laid" (the ugly). For decades Delacroix would battle negative critical responses to his paintings in part because of his conscious rejection of traditional notions of beauty in art. Yet his approach would gain appeal with fellow artists and viewers, and help launch the Romantic movement as well as influence the work of modern artists such as Gustave Courbet and Édouard Manet. This enormous painting, which measures over 16 feet wide, depicts another dramatic historical event, the last suicidal moments of Assyrian King Sardanapalus, who ordered the destruction of all his possessions (including his harem) during the siege of his palace. Rather than be vanquished he preferred to die, and the moment Delacroix chose to depict is just before his suicide, an act more extravagant than heroic, to be sure. The king is seen dressed in white reclining on a large red-draped bed, as he observes the chaos and mayhem around him. One female slave has collapsed onto the bed beside the king, while another awaits her death at the hand of a male attendant in the foreground. Meanwhile, horses rear in fear in the left foreground, barely contained by a slave. The King's chamber is strewn with riches including pieces of gold, jewelry, and luxurious fabrics, all of which will soon burn in the flames of the funeral pyre. The Sardanapalus story was popular with the Romantics, and inspired a number of artistic works during the 19th century including an opera by Frans Liszt and a play by Byron, upon which Delacroix based this painting. The artist enhanced the inherent drama of the scene through his compositional organization: the overall effect is one of chaos, but of a very particular kind, marked by decadence and louche excess. By using his imagination, he imbues a historical narrative with greater dramatic impact. This painting is a key example of the dramatic flair Delacroix brought to his work, and evidences his view that, "to imagine a composition is to combine elements one knows and has seen, with others that spring from the inner being of the artist." The painting displays Delacroix's mastery of color, and in particular his use of red - which simultaneously signifies decadence and luxury but also of course blood and wounds. Indeed, Delacroix's mastery of expressive color would inspire the earliest modern artists such as Manet and Cézanne. Also important to note is his use of a painterly brushstroke, much different than the controlled neoclassical (and often invisible) touch of Ingres, for instance. In this painting, the chaos and energy of the scene are matched and enhanced by Delacroix's treatment of the paint itself. The work inspired contemporary photographer Jeff Wall's The Destroyed Room (1978), a modern recreation of Delacroix's painting, and the first in his series of transparency lightbox works. The scene of destruction in the ransacked room created by Wall echoes the chaos underway in Delacroix's scene, particularly as both are arranged along a diagonal. Wall, like Delacroix, used the color red prominently in his composition to intensify the drama and passion of the scene. Delacroix's painting 28 July: Liberty Leading the People features individuals of various ages charging across a canvas littered with dead bodies. In the center, striding over the heap of corpses, a bare-breasted female figure holds a rifle in her left hand and a French flag in her right as she looks off to one side. To her right are two men; one in a white shirt brandishing a sabre running beside a formally dressed man with black jacket, tie, and top hat holding a musket. To the woman's left is a young boy brandishing two pistols. The background is filled with smoke and devastation, and just the barely visible outline of Paris. Considered to be Delacroix's most famous work, it is one of many based on a true historical event, in this case a short-lived, days-long revolt against the French monarchy which ended the reign of Louis Philippe and helped establish the Second Republic. Though he did not participate in the rebellion, Delacroix wanted to honor the brave revolutionaries in a painting. As he wrote to his brother, "I have undertaken a modern subject, a barricade, and if I have won no victories for the nation, at least I will paint for it. " The painting is rich in symbolism. The unity of classes is represented by the presence of a bourgeois gentleman fighting beside those of the lower classes; meanwhile the national colors of France (blue, white, and red) are repeated throughout the composition, in the flag most obviously, but also in the tones of the smoke and sky, and the clothes of the kneeling figure who looks up at the main female figure. This woman serves as an allegory for the notion of Liberty and by extension the French Republic itself (her bared breasts situate her within the realm of classicism more than contemporary history, for instance); Delacroix shows her as a warrior, ready to fight while she literally charges forth, leading the people. The power of this work lies in its ability to capture, simultaneously, the patriotic spirit of the event as well as its chaotic, violent reality. According to critic Jonathan Jones, "Delacroix has painted the hysterical freedom and joy of the revolution. His painting survives as revolution's most charismatic visual icon. And yet it is not naive. Death is part of the glamour, and there is sickness at the very centre [sic] of progress. Romanticism is not an optimistic art. If Delacroix's painting understands the seduction of revolution better than any other, it also acknowledges the violence that is inseparable from that belief in total change and the rule of the crowd. " Delacroix's intentional refusal to idealize would be embraced by later 19th-century artists such as Daumier and Courbet who depicted scenes of everyday life, complete with its uglier or more violent aspects. Interestingly, Delacroix's image of Liberty would become a supreme symbol of Republicanism in France, earning a place on both its currency and postage stamps, and securing Delacroix's position in the legacy of France's greatest artists. This painting also had a direct influence on Chinese contemporary artist Yue Minjun who, inspired by this painting, created his 1995-96 work Freedom Leading the People. Depicting himself in the role of all the figures leading the charge, Minjun was visually representing a different kind of revolution, in which according to Delacroix historian Simon Lee he "examined the infiltration and subversion of the Western canon by Asian artists. " Three Algerian women wearing brightly colored clothing are seated casually on the floor of a richly decorated interior. The woman on the left reclines on a pillow and gazes towards the viewer while the other two turn their heads toward one another, as if engaged in conversation. At the far right, a black female servant walks away with her back to the viewer and her head turned towards the women on the floor. Many of the works Delacroix created after 1832 were inspired by his enormously influential trip to Morocco of that year. Both in subject and style, these works reflect the voyage's transformative effect on his art, in his palette of rich, sensuous colors for instance, but also in the very subject matter of his paintings. The subject of this work derived from a visit Delacroix made to the home of a Muslim man (and former pirate) which included a separate apartment for his harem, or the women of his household. Though there is some ambiguity surrounding the visit, we know that Delacroix was fascinated with what he saw and described the experience as causing, "a fever that could barely be held in check by sherbets and fruit. " Delacroix based the painting on drawings and watercolor studies he made of the women, and the wealth of detail in the painting is the result of both his attention to detail as an observer, but also his imaginative embellishments in rendering a scene of Romantic exoticism. Indeed, Delacroix once stated that, "[t]he primary merit of a painting is to be a feast for the eye," which he demonstrates in this painting, providing an excellent example of his mastery of the use of colors while simultaneously capturing Orientalist mystique that was so intriguing for the French viewing public at the time. The patterns and colors in this painting directly influenced such modern artists as Cézanne, Renoir, and Matisse, whose many odalisques owe a debt to Delacroix's North African scenes of languid femininity. In fact, the influence was so profound on Cézanne that he once famously remarked, "Delacroix had the best color palette in France." During the later years of his career, Delacroix turned more and more to nature for inspiration. Basket of Flowers Overturned in a Park is significant because, though the artist had created sketches of trees, plants, and flowers throughout his career, this was his first formal flower painting. Compared to his monumental contemporary history paintings, the work is intimate in scale, measuring only a little more than three by five feet. Nonetheless, the painting was exhibited at the 1849 Paris Salon, along with Women of Algiers in their Apartment. The floral subject was one of several that Delacroix worked on at his peaceful country estate, Champrosay, in the immediate aftermath of the bloody 1848 Revolution and Paris Commune. Unlike traditional still lifes, which tend to be arranged indoors upon tables, here the setting is a lush outdoor garden complete with green shrubs and trees. The painting features a straw basket turned on its side out of which tumbles an abundance of flowers in red, yellow, pink, and orange. The basket is directly underneath a flowering vine that sprouts up from the left side of the canvas and trails to the right across the full width of the painting, forming a kind of proscenium arch. A red flowering bush at left accords with the colorful blooms on another shrub in the right middle ground, as well as the blooms in the center. Indeed, the emphasis on color and composition gives an overall impression of harmony, something the later Impressionists would seek to create in their own outdoor scenes. According to Delacroix scholar Simon Lee, the artist "...wanted his treatments to be free from the vases, drapes and columns that were the usual conventions of flower paintings. For him too many flower painters concentrated on the botanical details, but his paintings were to be like a bouquet of flowers where the overall effect was more important than the individual blooms. " This unique approach was a modern one that would directly influence the work of artists such as Claude Monet, Vincent Van Gogh, and Odilon Redon who would build on this and take their own individual approaches to their floral paintings focusing on the effects of light, color, and the overall impression of the flowers rather than traditionally realistic formal renderings of flower arrangements. A ceiling painting, Delacroix's Apollo Slaying the Serpent features a story from mythology in which the God Apollo shoots arrows at the giant serpent Python while riding in his chariot. The dying creature writhes in the sea below while a blast of smoke escapes his mouth. Other gods can be seen in the sky including Apollo's sister Diana who is positioned behind him holding his quiver, as well as Hercules, Mercury, Minerva, and Vulcan. Boreas and the Zephyrs are sending in rain clouds as Juno, Venus, and Ceres watch the battle. In describing this work the artist wrote, "from the highest heavens, Victory descends to crown Apollo, and Iris, the messenger of the gods, unfurls her scarf on the breeze, as a symbol of the triumph of light over darkness and the rebellion of the waters." Delacroix was commissioned to create this painting as part of the restoration of the Galerie d'Apollon in the Louvre. The architect of the project, Felix Duban, described the motivations behind his selection of Delacroix: "the name of this eminent artist provides a guarantee that the work will be successful." Still the project was challenging in that Delacroix had to try to find a balance between creating a new work and making it fit with the preexisting ceiling paintings. Ultimately, the work was so well received that Delacroix's payment was increased from 18,000 to 24,000 francs. The reason behind Delacroix's choice of subject matter led to much speculation. Some saw the victorious mythological battle as a metaphor for perseverance of the French people during years of revolutions, while others have tried to assign a personal meaning to the work with the gods' triumph as a statement of Delacroix's success over his art world critics. While neither interpretation was confirmed by Delacroix, the painting clearly demonstrates his mastery of the new Romantic style which he employs here to depict the conquering of good over evil through color, light, and complex figural composition. The "good" figures are rendered in bright, vivid colors and awash in light while the "evil" forces are in dark tones and shadow. The attention to color, so evident in this work, has been attributed to both Delacroix's interest in and study of the work of Peter Paul Rubens and Michel-Eugene Chevreul's theories on color. For instance, Delacroix contrasts the warm yellow and orange tones above with the cooler blue and violet tones below. Van Gogh would employ similar techniques in his paintings from the South of France, in order to intensify the impact of his palette. Based on a story from the New Testament, Delacroix's Christ on the Sea of Galilee depicts a sleeping Jesus in a raging sea. Wearing a white gown and a blue robe draped around his head, a halo of golden light surrounds his head as he rests peacefully with his head in his hand at the end of a rowboat. Meanwhile, a group of frantic men struggle to get control of their vessel on the storm-tossed sea. One man in the center waves his hands in the air in a gesture of helplessness, while to his left another reaches out to grasp an oar that has slipped away. In the distant background we see a hilly landscape silhouetted against a gray, cloud-filled sky. Though religious subjects had long been part of the canon in France, Delacroix approached his subjects differently. Less intent on illustration than on getting to the heart of the spiritual matter, his images were motivated not by a need to inspire but a need to understand, on a very personal level. As Delacroix said toward the end of his life, "God is within us: it is that inner presence which makes us admire the beautiful, which delights us when we have done right and consoles us for not sharing in the success of the wicked. It is he, who, beyond a doubt, creates the inspiration of men of genius and who warms them at the spectacle of their own productions. There are men of virtue as there are men of genius; both are inspired and favored by God." On a formal level, the composition and brushwork of the painting would be an example for later modern artists, including Post-Impressionists like Van Gogh. Delacroix was a master at group scenes, and the writhing, twisting, and dynamic forms of the figures (other than Christ, that is) add to the scene's sense of agitation, fear, and excitement. Likewise, his bold and expressionistic brushwork contributes to the painting's drama, particularly in the sea and sky, as if to indicate the unpredictable and powerful forces of nature at play. This intense and somewhat chaotic scene portrays a group of Arab men leading an attack on two lions. On the left a rider and his horse have been felled by a female lion, while another figure attempts to spear the lion from behind. In the background, at the apex of the loosely pyramidal composition, another huntsman gallops toward the mayhem with sword raised. In the center foreground and to the right we see four more men attempting to kill a male lion, who has trapped one of the hunters under his enormous paws. A victim of the beasts lies on the ground, just behind this group. This painting was part of a series of works Delacroix created on the theme of the lion hunt and is considered to be among the last of his large-scale masterpieces. It highlights the artist's interest in and experimentation with the dynamic arrangement of figures for dramatic effect, which he had explored throughout his career. It also demonstrates the artist's fascination with animals, which he studied intensely (his sketchbooks were full of graphite drawings of both domestic cats and wild ones, including lions, some of which he made at the zoo in Paris's Jardin des Plantes). Indeed, Delacroix was a great admirer of animals, and wrote in his journal of being fascinated with how "the foreleg of the lion was like the monstrous arm of a man." Whereas some of Delacroix's earlier lion hunt scenes took a close-up view of the violence and dramatic action, here there is a greater sense of depth to the scene, enhanced by the distant view of the sea. Though the setting is vague and general, the exotic costumes of the men helps situate us in some imaginary Orient, perhaps inspired by the artist's reminiscences of North Africa. The swirling brushstrokes and vibrant colors of the fighting men and their flowing and luminously colored garments is echoed in the waves of the water and the swirling clouds that seem to move across the sky. Delacroix was without a doubt inspired by the lion hunt paintings of Peter Paul Rubens, which he first encountered in 1854 through reproductive engravings. Rubens, like Delacroix, was a master of the painterly brushstroke, and is often seen as Delacroix's predecessor in this regard. This work is a smaller scale copy of the original large canvas, dated 1855, and now destroyed. Delacroix often created smaller versions of his exhibition pictures. A related oil sketch is in the Musée d'Orsay in Paris which was likely a preparatory study for the finished canvas.